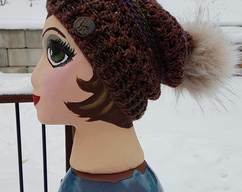 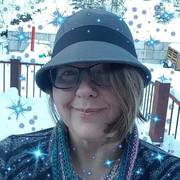 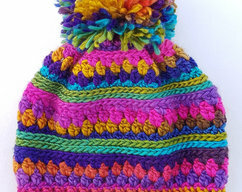 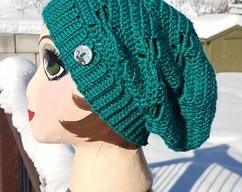 Keep warm while enjoying the snow in with this pleasantly textured bright and cheerful Ripple Creek beanie. 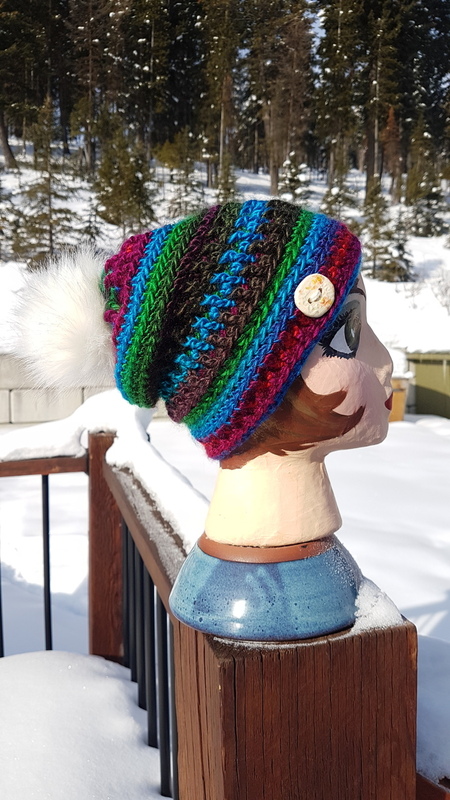 Topped off with a fluffy white faux fur pom pom and a handmade ceramic button. 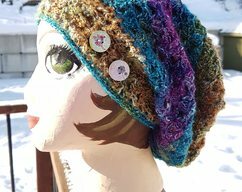 Trinity Slouch with novelty buttons and some super sparkle!